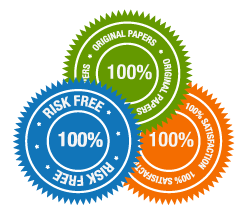 Vic Health in the field of health practices has medical practice related applications. It is located in Victoria. Vic Health Executives are planning to design a web service which will help the Vic Health employees and the Victorian public to find the nearest health practices in Victoria. The web service will allow the users to search the location of medical practices in Google Maps by entering the postcode. This will retrieve the location of corresponding health service. The data sources files are provided by the Lecturer and these files are then used to perform the integration and merging. On premises cloud computing strategy is used for availing the cloud services. These services will be provided off-site which is the fundamental part of cloud computing design. 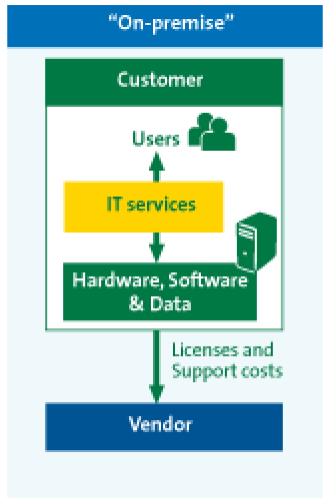 On premises cloud infrastructure also have hardware involvement which is related to cloud sources and activities. 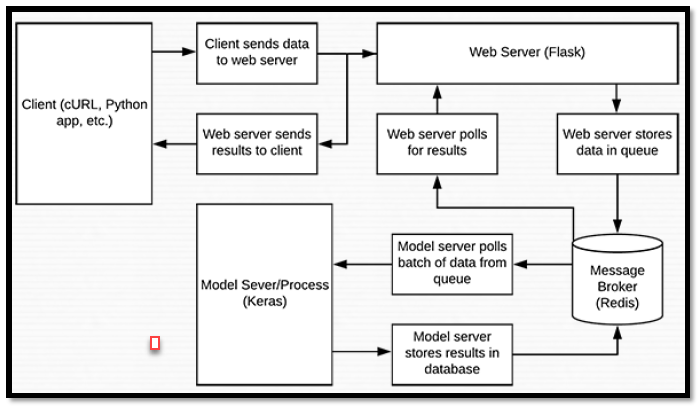 For the designing and implementation of web service , two data sources are available. One is Vic_Health_Care and the other is Vic_locations. Vic_Health_Care contains the data about four items; “Health Care Service Name” , “Town” ,”State” and “Postcode”. Total 10 entries are available for the four items. 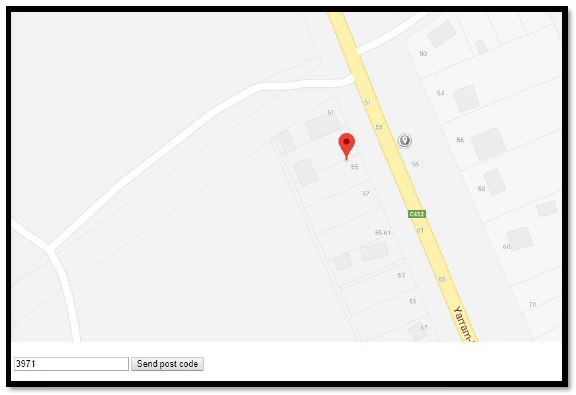 While Vic_locations is the XML file which contain the “Town Name” with its corresponding longitude and latitude. Python script file is used to read data from these two files. This python script file is then converted into CSV file using the Python petl framework. The CSV is named as practice_locations. PETL framework of python is general purpose Python package which is used to extract ,transform and load data from the tables. For convenience and the ease of use this package is designed. It is used when one has to work with unfamiliar, mixed quality data. Python ETL process has three steps which are Extract, Transform and Load. First step is to extract data from the source system. This is the most important aspect of ETL as extracting right sets is the most important part of the process. The aim of extraction phase is to convert the data sources into single format for appropriate processing. The correctness and validation of the data is also checked in this phase. The data extraction phase includes the two files which are provided by the lecturer and are ‘Vic_Health_Care’ and ‘Vic_Locations.  Transform: In the transform phase ,some functions or rules are applied on the extracted data to prepare it for loading it to the target end. There may be the case when there is no need to transform the data at all. The important aspect of transformation is to clean the data. It only pass the valid data to the target end. Transformation stage faces some challenge when different systems interact in relevant system communication. This project also perform some transformation in order to pass through the valid and proper data only.  Load: The loading phase loads the transformed data to the target end. This loading may be a delimited flat file or a data warehouse. It depends on the organizational requirement. In the Vic_health_service , loading results in the creation of CSV file named as “Practice_locations.csv”.This file contains all the data which are present separately in the Vic_Health_Care’ and ‘Vic_Locations files. The creation of this file is to gather the data in one file having the same format. Now this file will contain the data of “Town” ,”Longitude” ,” Latitude” , “ Practice Name” , “Postcode” and “ State” . For the REStful web service demo Python Bottle framework is used. Bottle framework is used as it is simple to use. REST API is build in Bottle framework. Bottle framework is web framework for the python programming language. It is light weight , fast and simple. Bottle framework is distributed as a single file module and it does not have any dependencies other than Python Standard Library. The main aim of this demo is to extract the JSON object from the CSV file created in the above section using bottle framework. For doing bottle framework is installed and connection with the server is established. The script is made to import data from the CSV file. The script will contain the information comprises of application name ,methods which will be used like POST ,GET for uploading the file. This python script will contain the RESTful services in detail for obtaining the output. RESTful services are described below. REST services are used lightweight ,maintainable and scaleable. The service which is used in REST architecture is RESTful service. HTTP is the protocol for using the REST service. It is the web protocol. REST is the access way of resources that lie in particular environment. For example if a server host the documents ,pictures or videos ,these are all considered as resources. If client need any of these resource then he has to send request to the server. Here REST defines the way how to access these resources. The first element is the resource itself. The user has to enter the url of the application followed by the resource name in the browser to send request of the particular resource. In Vic Health service , the client query contains the particular postcode to get the location of the corresponding clinic. The query format is ‘/getlocation?postcode=xxxx’. This element describes what user want to do with the resource. To instruct the endpoint for getting the data browser issues GET verb. There are some other verbs too like POST ,PUT and DELETE. But in Vic Health scenario , GET verb is used as user need the specific location details of the entered postcode. 3. Header Requests These are some instructions which are sent with the query request. It may specify the required type of response. 4. Body of Request This element is responsible for sending the data with the request. In the POST request ,the data is normally send. This POST call is not used in the Vic Heath web service as user is not allowed to add new resource in the server. 5. Body of Response This element is the main body of the response. The server returns the result of the user query in the response body. In Vic web service, the response is the Google map location of the specific clinic so this will be displayed in the Body section of response. 6. Status codes of Response These are generic codes which come from the web server with the response. Normally 200 is the code which returns if no error is encountered in returning the response. JSON object with the attributes Practice Name, Latitude, Longitude, Town name and State are returned as a result of running this script. A mashup application is developed for the user interaction with the web service. Mashup application is a web page which create single service use content from more than one sources. For Vic Heath web service , mashup application is designed. This application takes the a postcode as the input. If the health practice name is found across that postcode then its location is displayed in the Google map otherwise the default clinic will be displayed. For implementing the Google map in the application an API key is needed. It is the combination of unique numbers that keep track of who is availing the service. Google map API is free. This marker function will enable the user to click on the marker bubble and see an information window about specific town information. The Vic Heath application is developed which is basically mashup application. Two data sources files are used for merging the data in one python script file. This script file is then converted in to CSV file using the petl framework. The CSV is named as practice_locations. The Python Bottle framework is used to implemt the REStful web services to obtain the JSON object with attributes practice name, latitude, longitude, town name and state. Python bottle framework I used to obtain the JSON object from the practice_locations.csv. A masup application is developed to get the input from the user which display the map location of particular practice location.